Know how to play the points game when you are travelling. Aris a professional travel enthusiast with years of experience jet-setting the world. After learning the ins and outs of credit card rewards, Ari now flies around the world to many different countries in the luxury of business and first class. His goal for his website is to share his awesome experiences with followers and teach others how to get the most out of their points and travels! GoingClear Interactive was responsible for the design, development and UX of the new Ari's Travels website. 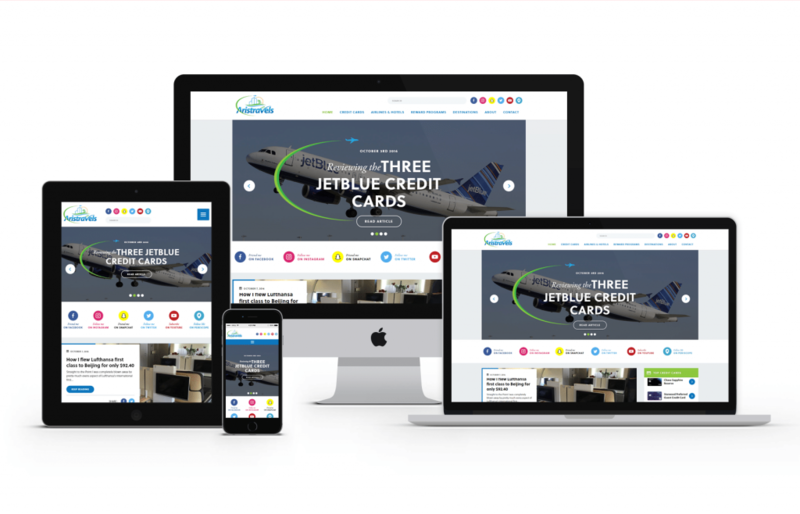 The overall design for the site leverages clean typography and large photography, while also placing a a priority on the client social media channels. A big upgrade here was the custom blog categories so Ari's content will only appear on specific pages. 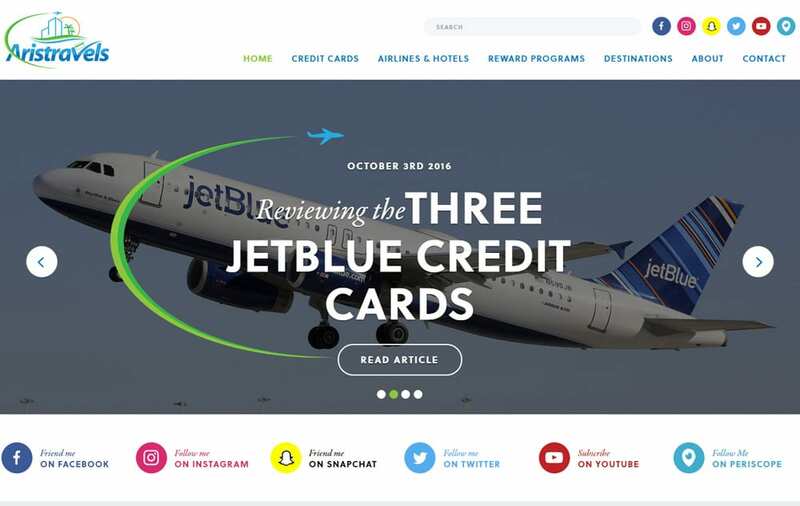 Other nice features include a custom credit card side bar for easy reference and live Instagram and Twitter feeds so followers can be sure to stay up to date on Ari's adventures. 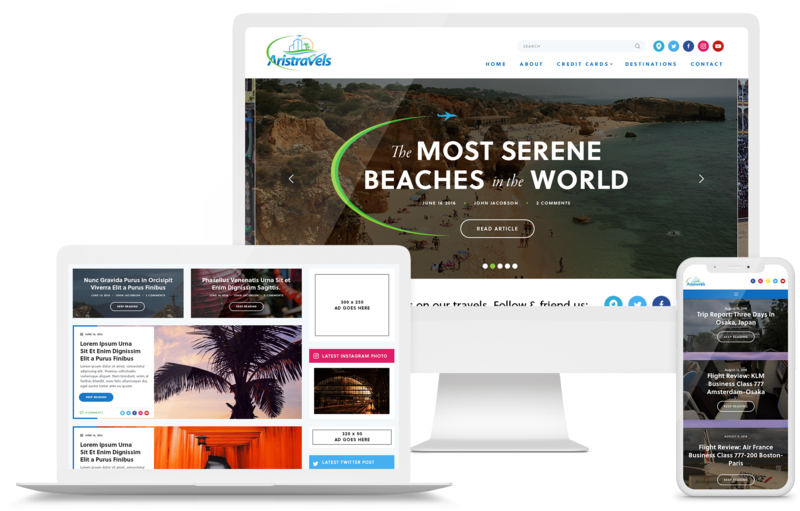 The new Ari's Travels website was built using WordPress as the CMS - Content Management System along with a fully mobile and tablet friendly design leveraging Twitter Bootstrap for the responsive framework so visitors are guaranteed to have a flawless experience on any device. What are you waiting for? Go check it our for yourself!